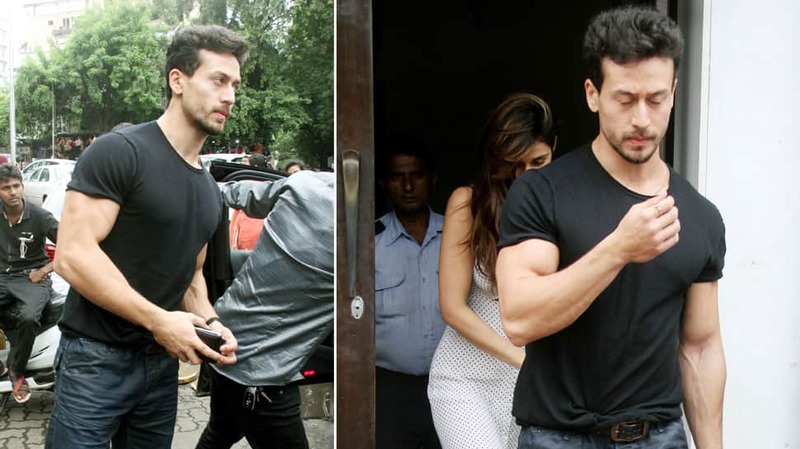 Photo Gallery: Tiger Shroff-Disha Patani out on a lunch date! One of the most talked about couples in B-Town, Tiger Shroff and Disha Patani have often been spotted hanging out together. The duo which has just delivered one of the biggest hits of 2018 'Baaghi 2' have always remained tight-lipped about their alleged link-up. Recently, Tiger and Disha were spotted outside Bastian restaurant in Bandra, Mumbai. This place is a celeb regular who love to eat out and hang around in the area. Disha was seen sans make-up and looked picture perfect while Tiger too kept it casual. The stunning actress's white midi dress in white with a deep plunging neckline added the oomph factor. The duo has been clicked leaving the restaurant and the fans can't be happier! The pictures went viral and have been shared on social media by various fans and fan pages too. Like Tiger, Disha too is a fitness freak and is often clicked outside the gym.